Earlier this week, the ASHG Program Committee gathered in Bethesda, Maryland, to create and assemble the ASHG 2017 scientific program. Having reviewed more than 3,100 submitted abstracts, with help from more than 100 reviewers, the Committee met in person to bring the highest-scoring work together into themed sessions for the meeting’s three Featured Plenary Abstract Sessions and five Platform Sessions. They used early registration data to assign sessions to rooms, ordered presentations within each session to tell a coherent story, and selected Reviewers’ Choice Abstracts among top-scoring posters. They also discussed educational events at the meeting, trainee opportunities, and abstracts of interest to press. PC members alternated small group work with full-committee presentations as each session was constructed. Large group discussions informed the scientific program and planning for future years. In the coming weeks, the Committee will select and confirm moderators, make any necessary adjustments, and continue planning Tuesday’s Poster Talks session. Those who submitted abstracts should receive their program assignment in mid-August. Pauline Minhinnett, CMP, CEM, and Emily Greene, MS, are part of ASHG’s Meetings Department. 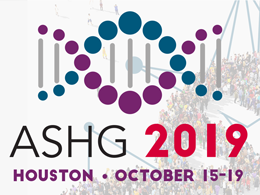 Learn more about the ASHG 2017 Annual Meeting, October 17-21 in Orlando, Florida.